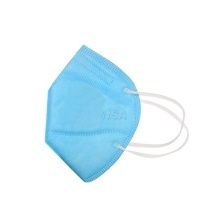 *Dust mask,suitable for PM2.5/fog haze/gas pollution/pollen allergy/secondhand smoke/exhaust,etc. *Adjustable nose clips,which help different users to achieve good facial contact,flexible head strap for comfortable wearing. *Lightweight and easy to breathe,speaking be understood while wearing this mask. *Super space gives you unexpected breath,adopting ergonomic design,fitting for all kinds of people. *High efficiency electrostatic filtration,providing you with fresh air and to live a healthy life.